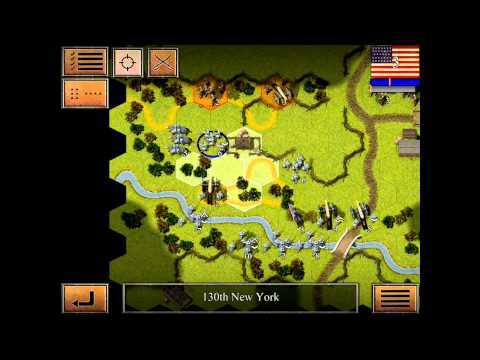 Civil War: 1863 is a brand new turn-based strategy game for iPad, iPhone and iPod from online and mobile games company Hunted Cow. 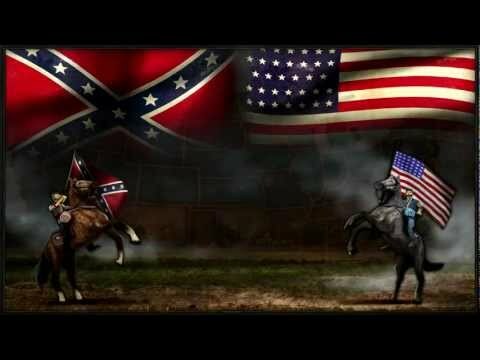 Civil War: 1863, is set in the tumultuous years of the American civil war. It allows players to participate in and re-enact some of the conflict's most notorious and iconic battles. The game allows players to take charge of Union or Confederate troops and lead them to victory using foot soldiers, cavalry and artillery. Civil War: 1863 allows players to choose formations and employ tactics to engage with the enemy, seize control of strategic points on the map, employ cavalry as mounted troops or foot soldiers – all with simple, intuitive touch controls. Terrain advantage, command units, ranged and melee attacks all combine to create the most immersive and authentic civil war game yet to hit the App Store. Local multiplayer gaming is provided with an innovative pass-the-pad feature, allowing players to compete on the same device. Civil War: 1863 has already reached the strategy gaming Top 5 in the US and UK App Stores and has built an impressive number of five star reviews. Civil War: 1863 was co-designed by Hunted Cow and strategy gaming experts Hex War Ltd, which specialises in detailed and historically accurate online and mobile strategy games. The company's previous joint venture, Tank Battle: 1944, pitched an American battle group against the powerful German Panzer forces, in a series of battles across WWII Europe. Hunted Cow, the company behind the game, is the UK's most northerly game developer, based in the mist-shrouded and mysterious town of Elgin, a full day's husky dog-sled ride north of Edinburgh. Hex War is similarly located, in the near mythical realm of Fortrose. Hunted Cow has built an admirable reputation for role-playing and strategy games including Fallen Sword and Gothador which have gained thousands of followers around the world. The company is now working on the highly anticipated browser based 3D MMORPG Eldevin and the forthcoming Battle Dungeon strategy title for iOS. Andrew Mulholland (Hoofmaster) one of Hunted Cow's directors, says, “We're very pleased to be working with the team at Hex War on Civil War: 1863. Their work on Tank Battle: 1944 was phenomenal and it gained so many fans and fantastic feedback that we couldn't wait to work with them again. The American Civil War is a period of incredible fascination for a huge number of people in the USA – and around the world. We're delighted with Civil War: 1863 and we look forward to players, re-enactors, historical enthusiasts and gamers worldwide getting their hands on it. Civil War: 1863 is available NOW in the Apple App Store for a limited time offer of $1.99 and works on ALL iOS devices (iPhone, iPad and iPod). It even features high resolution graphics for the new iPad retina display.